Spotted! 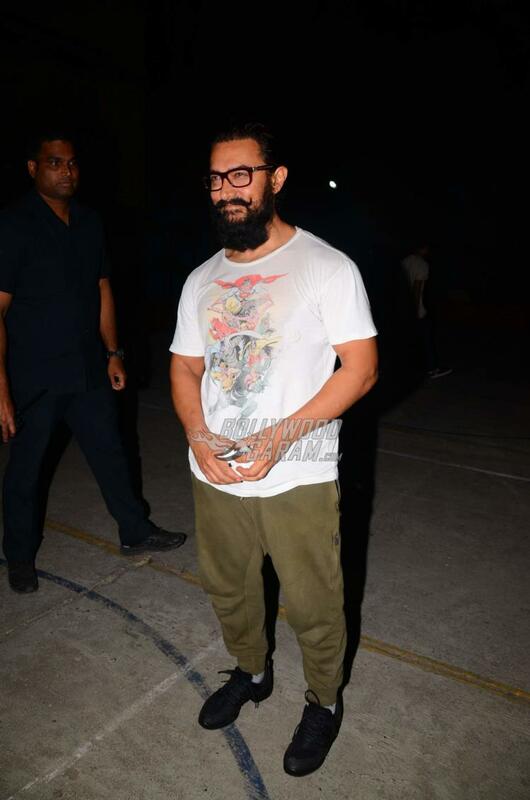 Aamir Khan, Fatima Sana Sheikh After Dance Rehearsals For Secret Superstar – Photos! Bollywood star Aamir Khan was snapped along with his co-star Fatima Sana Sheikh after a tiring dance rehearsal session for ‘Secret Superstar’ in Mumbai on March 8, 2017. The 51 year old actor looked great in a white t-shirt and comfy pants. 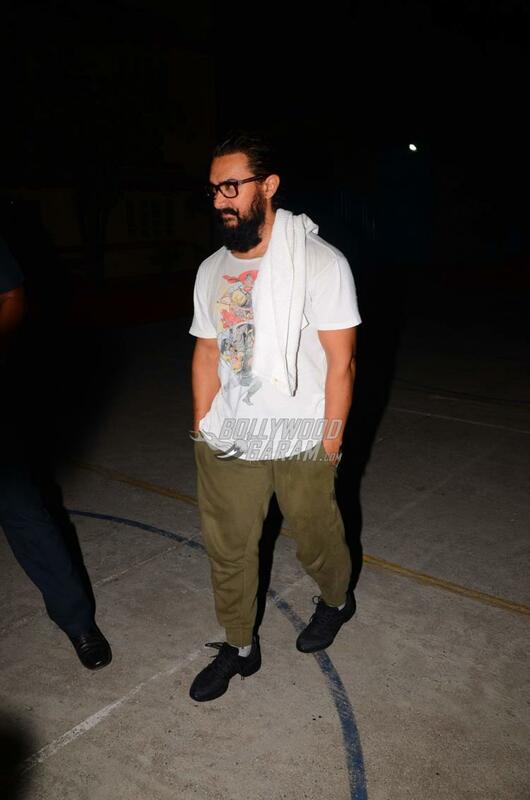 Aamir these days is carrying a full bearded look for his upcoming movie ‘Thugs of Hindostan’. His co-star from Dangal, Fatima Sheikh was also seen coming out of her car as she smiled for the shutterbugs. Aamir’s upcoming movie ‘Secret Superstar’ narrates the life and struggles of a Muslim girl, who wishes to become a singer. The movie also, Meher Vij, Zaira Wasim and Raj Arjun. Aamir will be seen in a cameo role, playing the character of a music teacher. The makers of the movie have already released the teaser and has already got the audience curious about its release. The movie is directed by Advait Chauhan and co-produced by Aamir Khan. Secret superstar releases on August 4, 2017. Here’s Aamir Khan with his choreographer for Secret Superstar, Shaley Lobo. Earlier Academy Award winning composer A.R. Rehman was roped in for the movie but later he opted out as the project was delayed. Later Amit Trivedi was roped in for the song compositions and the lyrics have been penned down by Kausar Munir. Aamir Khan was last seen in the movie ‘Dangal’ along with Sakshi Tanwar, Sanya Malhotra and Fatima Sana Sheikh. The movie released on December 23, 2016 and broke all records at the box office! Wishing Aamir the very best for the success of Secret Superstar! Previous articleShort Film Peanut Butter Featuring Gauhar Khan Proves That There's Nothing Women Can't Do!